Valerie Jester is President of Brandywine Capital Associates, Inc. With over 36 years experience in the equipment leasing industry – Ms. Jester has also served as Senior Vice President of First Sierra Financial, Inc. Her duties included the oversight of First Sierra’s third-party originations division. Prior to First Sierra, Ms. Jester was President and owner of Corporate Capital Leasing Group, Inc., a small ticket lessor specializing in the arbor-care markets. Corporate Capital was part of a 22 company industry consolidation by First Sierra Financial in 1996 that eventually achieved over $3billion a year in sales and became a publicly traded entity in 1997. First Sierra was later acquired by American Express Business Finance. Prior to founding Corporate Capital’s predecessor company in 1988, Ms. Jester was a Regional Manager for General Electric Credit Corporation – in the company’s Commercial Asset Finance Department. 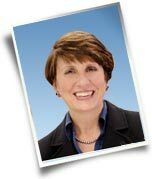 She has been involved with the Equipment Leasing and Finance Association of America for the past 25 years, serving as a member of the Eastern Regional Council, Small Ticket Business Council, Reinventing ELA Committee, Ethics Committee, Pac Committee, Board of Directors, Treasurer, and most recently as Chairman of the Association. From 2008-2016 Ms. Jester served as a Board Member and National Development Chair of the Equipment Leasing and Finance Foundation. She was a member of the Board of Directors of the Eastern Association of Equipment Lessors, National Equipment Finance Association, member of the Ethics Committee of the United Association of Equipment Lessors, and has been a speaker and Chair of many industry conventions and workshops. Valerie is the 2015 recipient of the David Fenig Distinguished Service in Advocacy Award for her efforts on behalf of the equipment finance industry. Ms. Jester has also served on the Board of Directors of the YMCA of Chester County, Red Cross of Chester County, the American Lung Association of Chester and Delaware Counties, the Salvation Army, the Chester County Art Association, and has served as Chair for many local fundraising events. She currently serves on the Boards of the West Chester Friends School and the Resident Theatre Company, as well as the Chester County Advisory Board of Bryn Mawr Trust and the Patient and Family Advisory Committee of the Chester County Hospital. She most recently became Treasurer of the Community Warehouse Project – a community organization that supplies furniture and bedding to those emerging from homelessness. She received a Bachelor of Business Administration from the College of William and Mary, Williamsburg, Virginia. You may reach Valerie Jester at: 610-344-0929 or click here to send her an email. 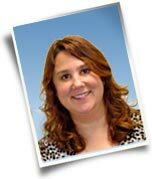 Robyn Hepner is Director of Documentation and Customer Service with Brandywine Capital. Her responsibilities include credit processing and the administration of Brandywine’s customer care program. Robyn has been in the equipment leasing and finance industry since 1995 – administering credit and the customer call center for Corporate Capital Leasing Group. She resides in Downingtown, PA with her daughter, son and 2 cats. She is active in Girl Scouts. She enjoys dancing, swimming and spending time with her children. You may reach Robyn Hepner at: 610-344-2910 x21 or click here to send her an email. 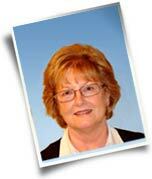 Maggie has been involved with the equipment leasing and finance industry since 1995. Maggie was office administrator and part of the funding team for Corporate Capital Leasing and subsequently for First Sierra Financial. During her tenure in the industry she has trained extensively in customer service and technology management. Maggie currently resides in East Nantmeal in a 200 year old restored stone home with her husband John and Goldendoodle Jackson. Click here to reach Maggie Montgomery via email. David oversees credit process and funding for Brandywine Capital. David has over 15 years experience in the equipment leasing and finance industry. He joined Brandywine in 2008 and has overseen significant revision to our operations and IT departments. Prior to his current position -David was responsible for transaction origination at First National Bank of Chester County. He also oversaw the bank's internal implementation of their equipment finance program through its branch network. David recently received his Certified Lease and Finance Professional Designation in 2016. He is one of less than 400 individuals who have achieved this preeminent credential for equipment leasing and finance professionals throughout the world. An avid sportsman- David resides in West Chester with his wife and 4 children. You may reach David Salome at: 610-344-0925 or click here to send him an email.